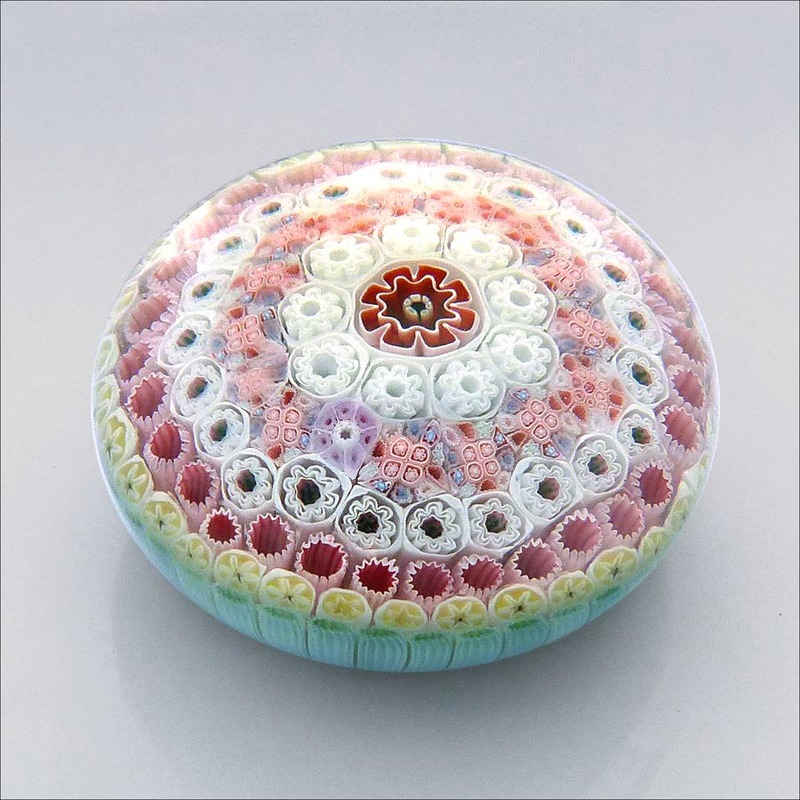 Most of the paperweights that are called 'Old English' were made in Birmingham or Stourbridge, anywhere from 1850 to 1950. They were made in factories - not in small studios by one or two craftsmen. 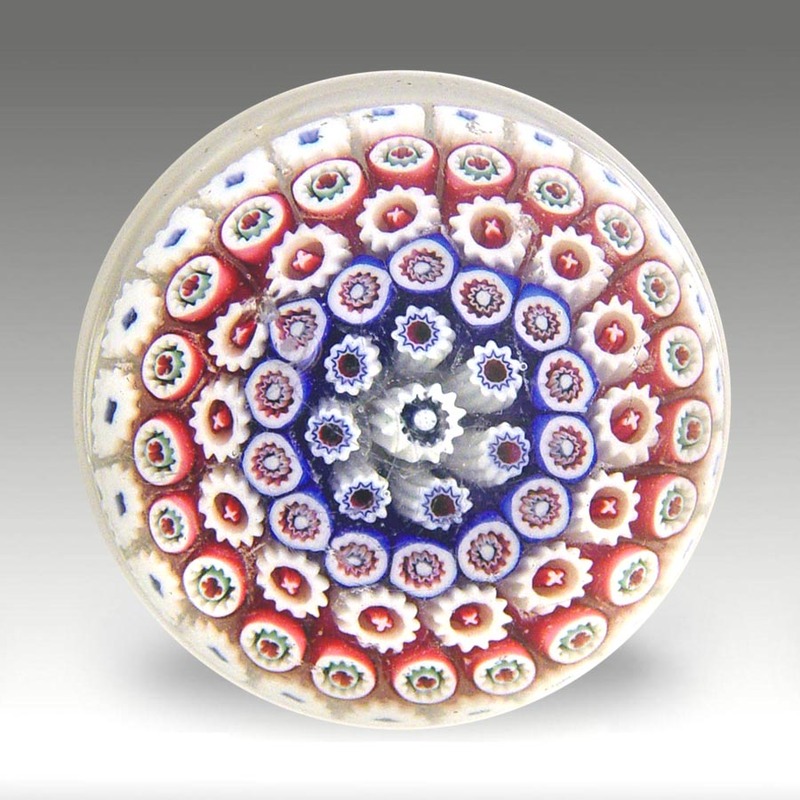 Several factories made paperweights, but not all of these have yet been identified. 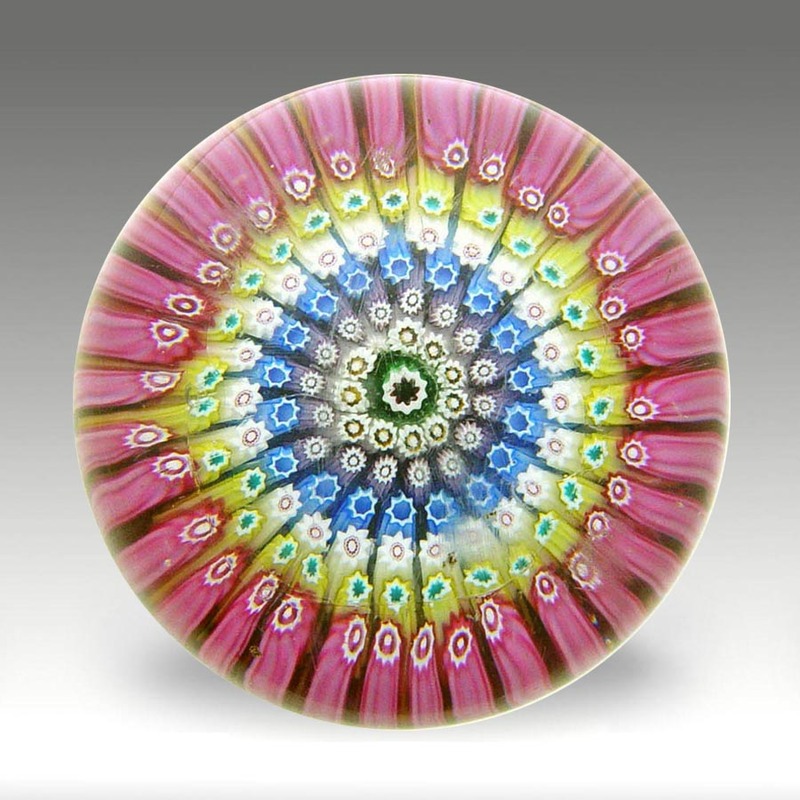 Nearly all designs are millefiori - the English factories did not make lampwork pieces such as fruit or flowers - and all are made of heavy lead crystal glass. They are usually large, with diameters over (sometimes well over) 3 inch / 76 mm. 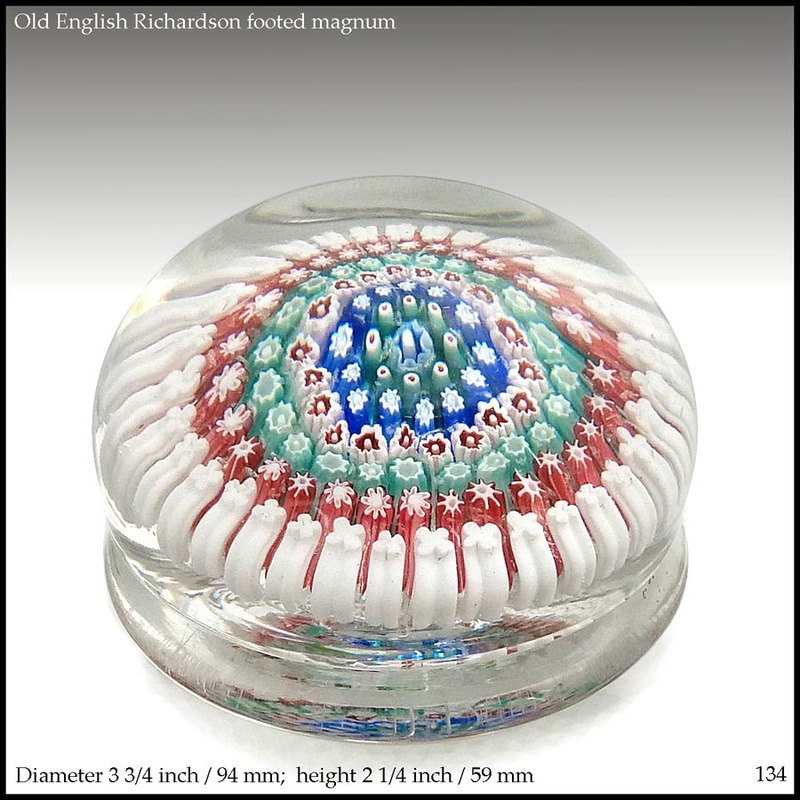 The majority of Old English paperweights were made by Richardson, Walsh Walsh, and Arculus; the last two are not easy to separate from each other. Next come pieces from a couple of unknown factories, with a small number by George Bacchus & Sons, and a few from the Islington Glass Works. There are some major misunderstandings and errors about the attribution of Old English paperweights, in part because books written before the late 1990s contain errors, and these older, outdated books are still being cited as evidence by some authors. The most common error concerns Old English paperweights with '1848' dates. These were made in the early 20th century by Arculus and later Walsh Walsh, who bought their factory in 1930. They are not Victorian pieces, and are not 'antique Whitefriars'. 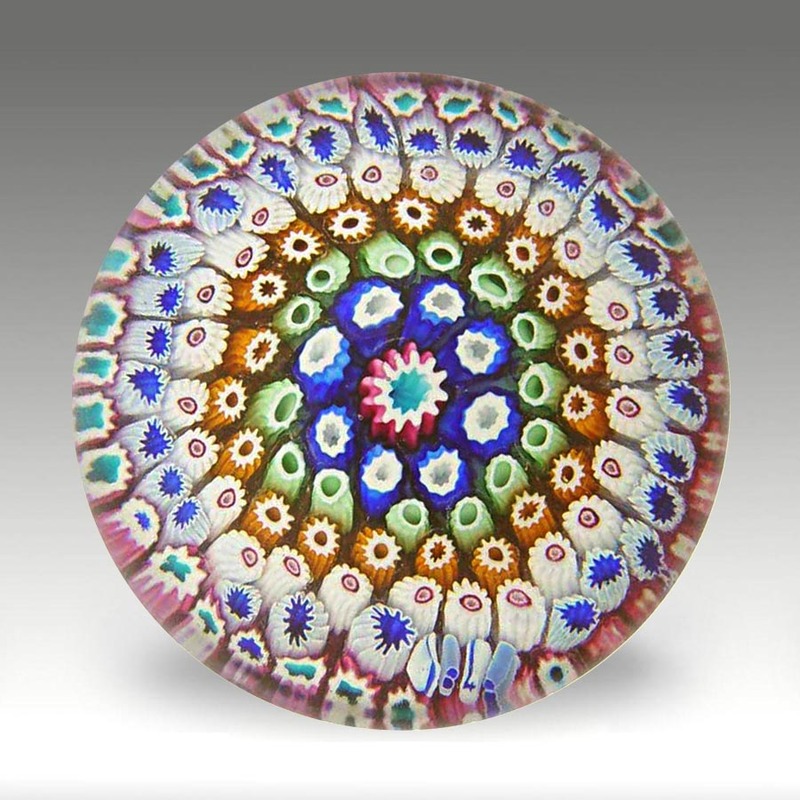 There is no evidence for any Whitefriars millefiori paperweights before 1938. I am grateful to all the collectors who have provided me with images.